Bonjour babes ❤ I'm feeling lazy during this semester break, but when it comes to daily cleansing routine, I'd never be lazy because it is my skin that I'm dealing with. 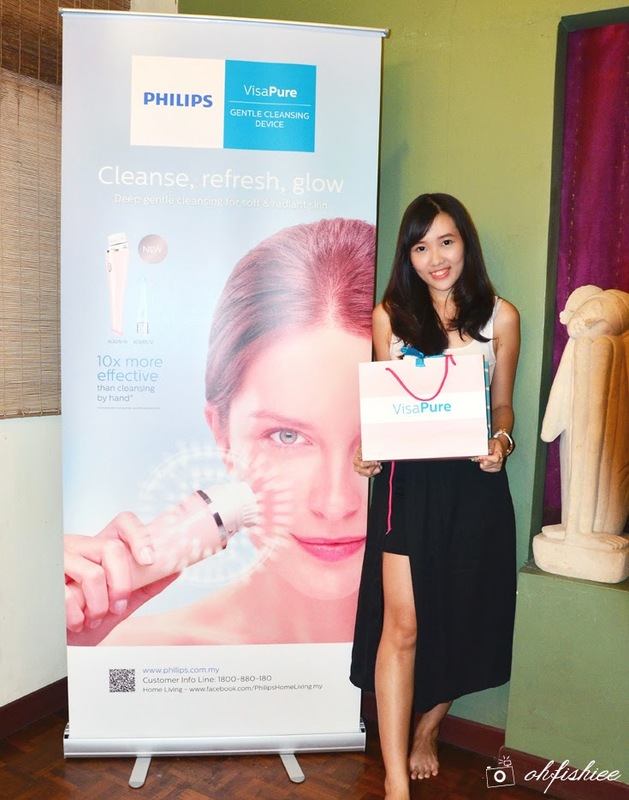 But luckily Philips has recently introduced something that eases my cleansing routine, making it more convenient and time-saving! 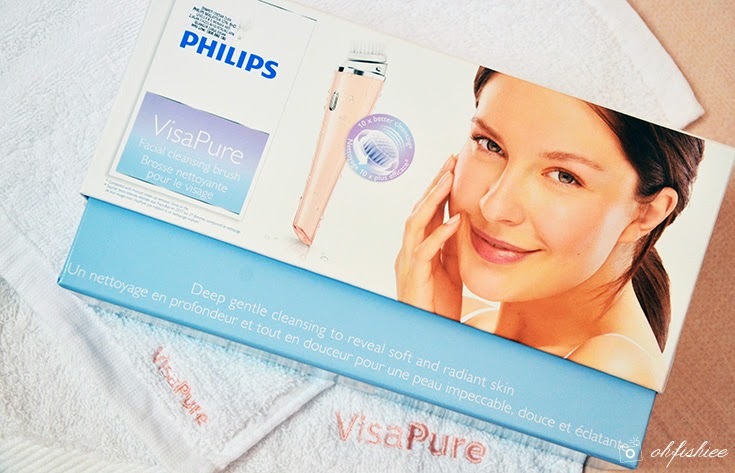 In case you're wondering, Philips VisaPure is the latest innovation to bring your daily cleansing routine to the next level without extra effort. 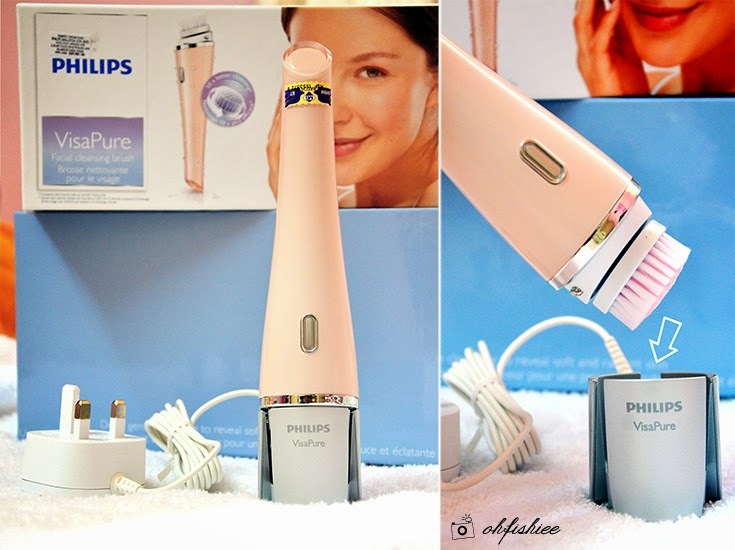 It is a cleansing device that deeply cleanses your skin in a gentle way, leaving it clean, soft and radiant. 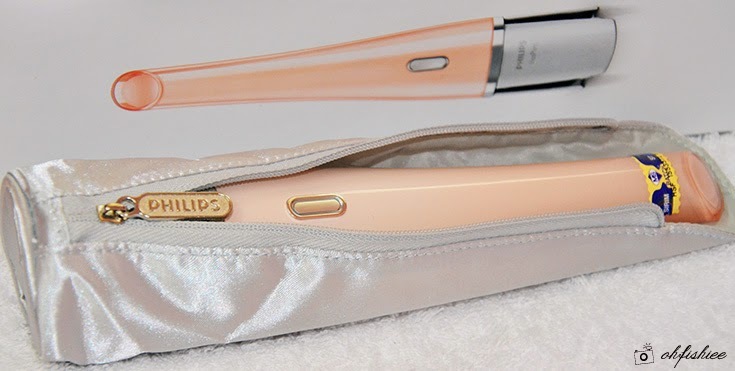 It's a light and portable handheld device that comes in pretty peach color. Considering the size, it is hassle-free to bring it along during travelling. 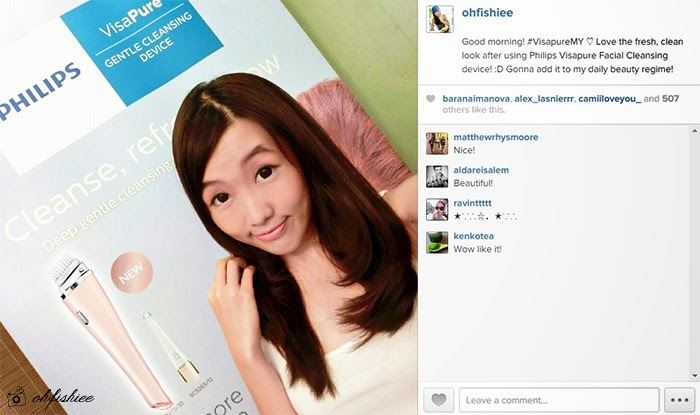 Now are you ready to cleanse your face in just 1 click on the button? Before trying out the device... 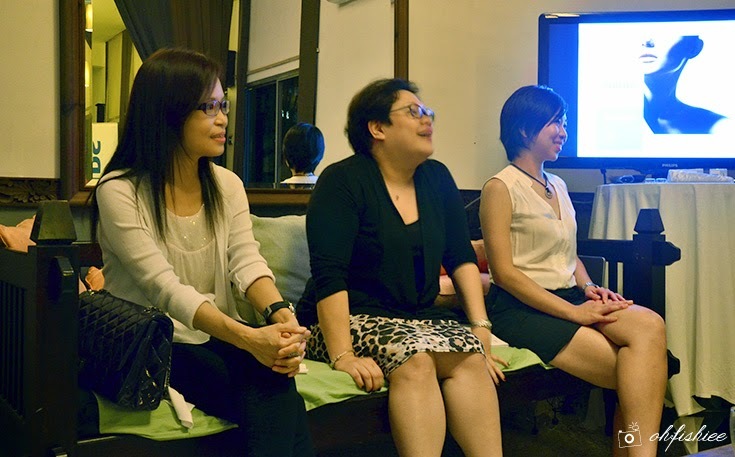 Thank you Dr Christina Chea (on most left), a professional aesthetics physician, for her precious beauty tips. Now I learn that using fingers to wash the face is not clean as I'd thought. That's why we need a brush to deep cleanse those stubborn pores and hidden impurities. 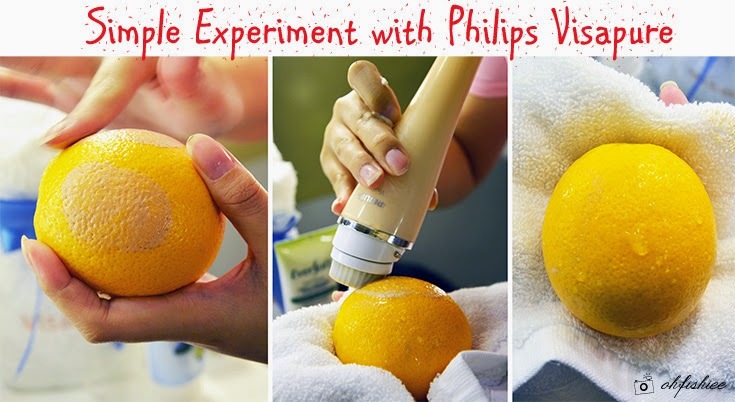 Before trying out on our skin, we did a demo on the orange. Like oranges, human skin does not have smooth surfaces, due to the pores, zits, impurities and what not. But we often apply foundation onto it, covering the pores for a smooth complexion. Therefore, when it comes to cleansing, our fingers or cleansing sponge can only reach the surface. 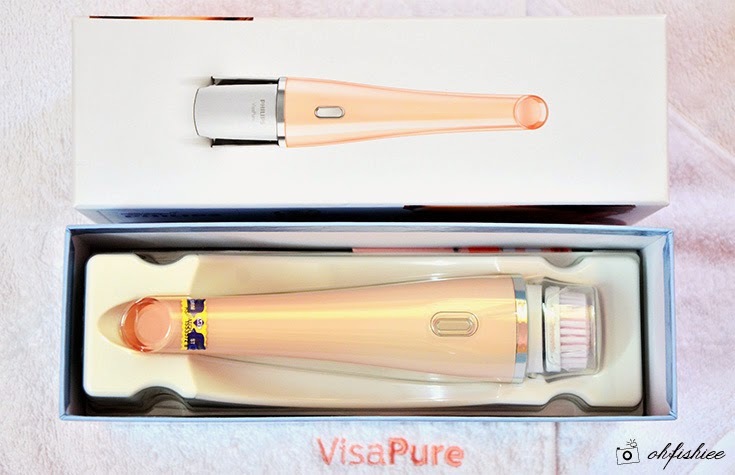 Whereas the gentle brush can reach those 'dented' areas and cleanse them off deep down the skin. The cleansing brush comes in 3 types: Sensitive and Normal brushes are inclusive. 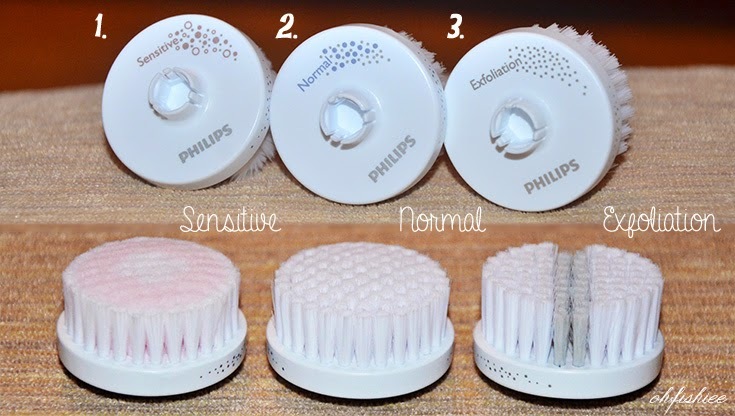 I prefer the pink one for sensitive skin, as the bristle is softer and smoother for the skin. Just buy one device, and individual brushes for each family member. Save cost! Another unique feature of Visapure is that, you don't have to count when to stop the device. It is preset in a 20 seconds - 0.5 second *pause* - 20 seconds - 0.5 second *pause* - 20 seconds interval (Altogether it's 1 minute). 3 times of 20 seconds cleansing motions are targetted on left face, right face and T-zone area. So easy to use right? No alkaline batteries needed. Just plug it into the adapter, and allow to charge for 6 hours. The battery can last for 30 uses (Approximately 15 days if used twice daily). 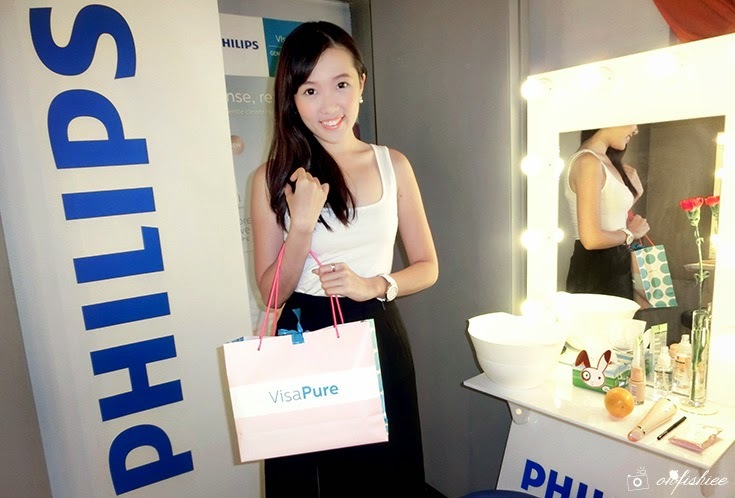 With this luxury travel pouch, Philips Visapure will be my best travel companion too!